Stephen Hunter is a former film critic for the Washington Post, but the column he just wrote for that paper certainly shows that he does not fit the stereotype of a left-wing journalist. Writing about the threat of gun control after the Tuscon shooting, Hunter explains why “extended magazines” serve a very valuable and legitimate self-defense purpose, particularly for women and the elderly. What’s often lost amid activists’ carping is that the effect of the notorious extended magazine does little to improve the pistol’s lethality… Neither Seung-Hui Cho, the Virginia Tech mass murderer, nor the alleged Fort Hood killer used extended magazines in their rampages. America’s first gun mass murder, when Howard Unruh killed 13 people in 1949, was committed with a Luger. 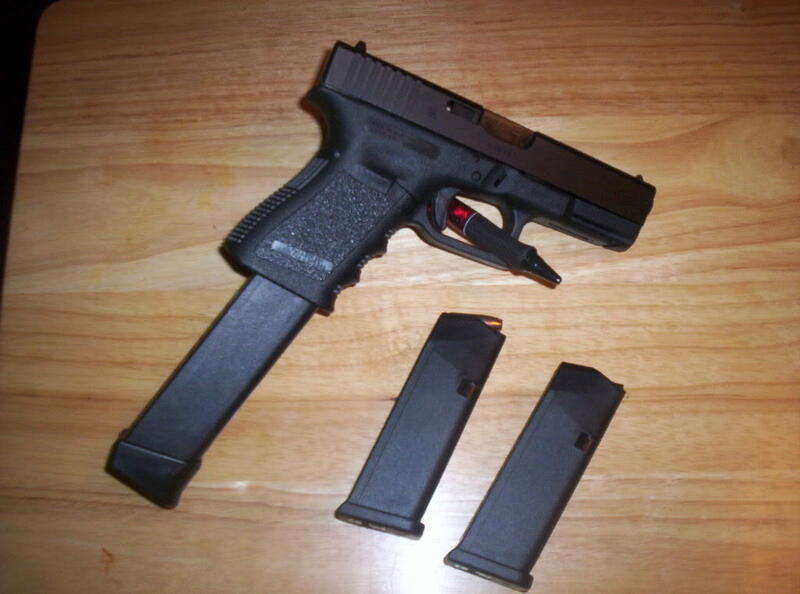 In fact, the extended magazine…destroys the pistol’s essence; it is no longer concealable. …That’s why extended magazines are rarely featured in crime – and that awkwardness spells out the magazine’s primary legitimate usage. …for those who are not hard-core gun folks it’s an ideal solution for home defense, which is probably why hundreds of thousands of Glocks have been sold in this country. Particularly in rural Arizona, given the upsurge in border violence, it’s likely that residents feel the need to defend themselves against drug predators, coyote gunmen or others. Yes, they can use semiautomatic rifles and shotguns, protected by the Second Amendment and unlikely to be banned by local law, but women generally don’t care to put in the training needed to master them. Nor can the elderly handle them adeptly. For them, the Glock with a 33-round magazine is the weapon of maximum utility. You can load it on Sunday and shoot it all month. (Nobody wants to reload a gun while being shot at.) It’s light and easy to control. You don’t have to carry it or conceal it; it’s under the bed or in the drawer until needed. When the question arises of who needs an extended magazine, the answer is: the most defenseless of the defenseless. Those who would ban extended magazines, will say that although hundreds of thousands are in circulation and thousands more will surely be sold before a ban is enacted, it will be worth it if it saves just one life. But the other half of that question must be asked, too: Is it worth it if it costs just one life? By the way, Stephen Hunter is a very accomplished author. I’ve read several of his books and they are first rate. And now that I know he believes in freedom, I’ll be sure to go out of my way to buy more of them.